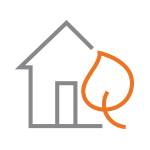 Natural gas furnaces deliver heat you can feel. Save energy and money with a natural gas furnace, as well as with rebates for customers in Missouri. Our partnerships with local electric utilities help you save even more on your monthly energy bills. Be smart about your home's energy usage and decrease the impact on your wallet. Simply changing your household routines can help lower your energy bills.